How should Europe cope with the negative and still unfolding economic consequences of the current economic crisis? And why does Europe seem to be more conservative than the USA in dealing with the crisis? Since the outbreak of the current international economic crisis in 2008, the USA and many of the European countries have been tormented by high levels of unemployment and low levels of inflation, interest rates close to zero and fiscal policies of austerity. As such, the modern economic mainstream has been challenged by these empirical facts. Today, several years after the outbreak of the international economic crisis, supply side effects do not seem to be increasing employment as the modern mainstream claimed they would. Aggregate demand has to play a more important role in macroeconomic analysis than hitherto. That is, there is a need for alternative explanations of how a modern macro economy is expected to function and how the macroeconomic outcome could be manipulated by the right economic policy proposals. As expressed by the contents of the present book, a Post Keynesian understanding proposes such an alternative theoretically, methodologically and in terms of policy measures. 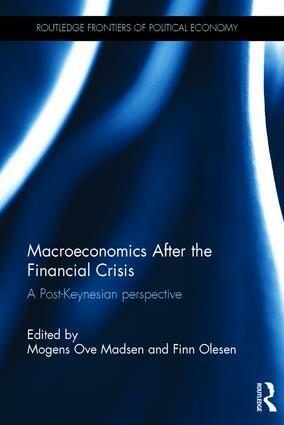 This book will present new materials and approaches, especially new evidence and new views on the potential problems of public debt, the European Union and the present crisis, Central Banking, hysteresis in an agent based framework, the foundations of macroeconomics and the problems of uncertainty.